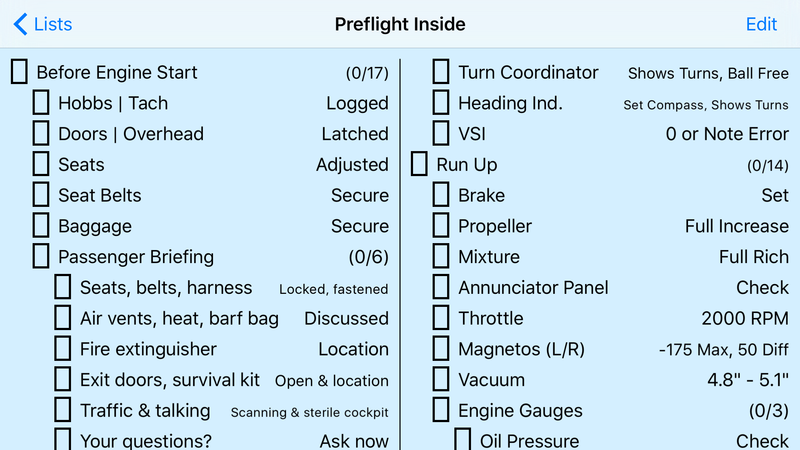 Pilot cList is a checklist app tailored for people who perform repetitive tasks such as preflight checking an aircraft before each flight. 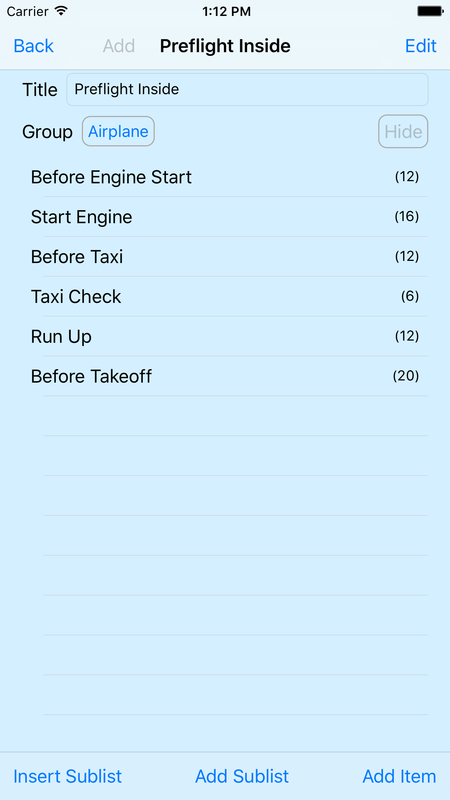 You can quickly fine tune the sequence of events as you go through the list; add new items, change the details of a task, delete an item, or reorder the sequence of events to match how you perform a task. 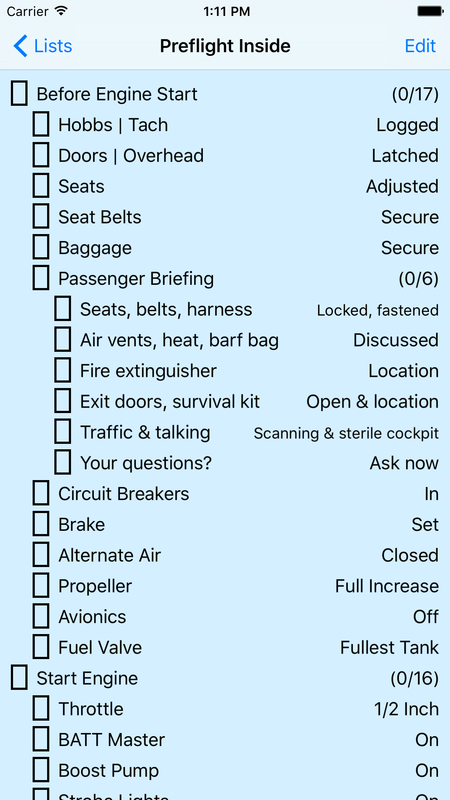 One of the most powerful features of Pilot cList is the ability to create one copy of a task or list and include it in multiple places. Instead of duplicating things, you can include one list inside another or add an item to multiple lists. If you change the name of a list or item, it is changed everywhere you used it. When you nest lists Pilot cList creates an clean outline format for you. 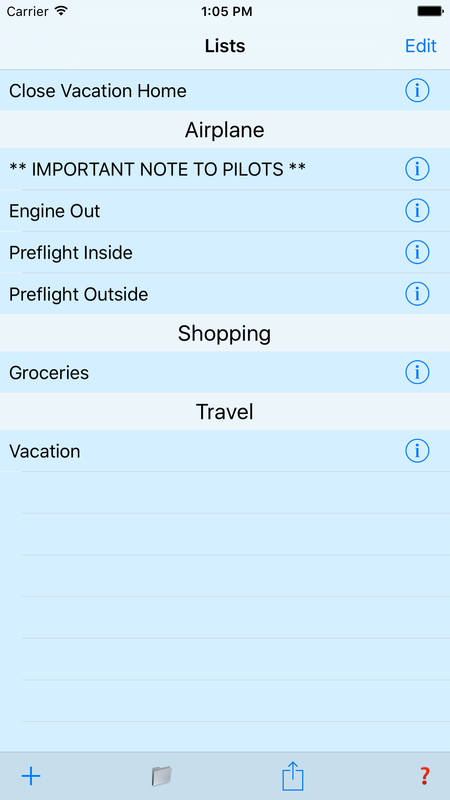 Edit your lists right on the device; this is a great way to customize the task at hand. Organize your lists into folders. Lets you cross out an item instead of checking it off. Share lists using email, AirDrop, or DropBox. Backup and synchronize your lists amongst all your iPhone and iPad devices using iCloud. Works in portrait and landscape orientation.